Represented a family office in the refinancing of a mortgage secured by property in Baton Rouge, Louisiana. Represented the Lincoln Square Synagogue in a high-profile exchange of property and development rights that enabled the development of the largest new synagogue in Manhattan since the 1920's. This transaction earned the Real Estate Board of New York's "Most Ingenious Deal of the Year" award. Represented real estate investors in the formation and launch of a real estate fund to originate, acquire and service high-yield loans collateralized by real estate or equity interests in real estate owning entities. Counsel to LVMH Moët Hennessy Louis Vuitton and the company's luxury brands in all New York real estate transactions. Represented an apartment corporation in a complex transaction involving the Metropolitan Transportation Authority's condemnation of portions of the property to make way for the construction of the Second Avenue subway. 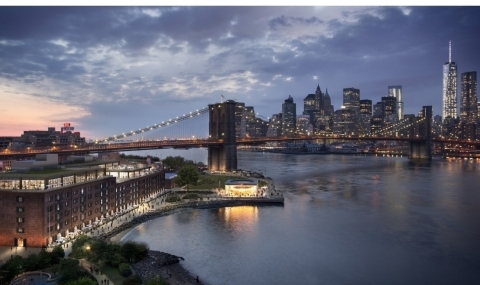 Represented a joint venture in obtaining complex construction and mezzanine loans for the development of several high-end residential luxury apartments in New York's Tribeca neighborhood. Represented CIM Group in the sale of a retail condominium in lower Manhattan. Represented G4 Capital Partners in a $20.5 million financing for an Oren Evenhar condominium development at 50 Greenpoint Ave in Greenpoint, Brooklyn. Represented a major real estate owner-operator in construction loan workout negotiations with a first mortgage lender and several mezzanine lenders. The negotiation involved complicated inter-creditor issues, partnership funding issues, 421-a, tax concerns and matters before the New York State Attorney General's Office. Represented the government of an Asian nation in the acquisition of its main headquarters in Manhattan, including a cultural center. Provided pro bono representation to the not-for-profit organization Weston United Community Renewal, which uses its real estate to provide shelters, work-programs and low-income housing for more than 1000 homeless and mentally- and physically-challenged individuals in New York City.